Reliable flood protection to fit all budgets! 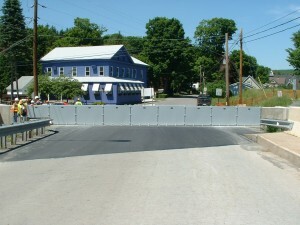 Removable flood barriers are most often used when flooding occurs infrequently and with some warning. 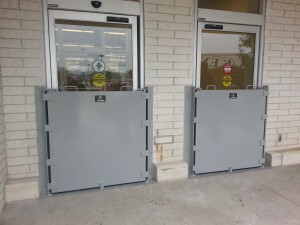 The barrier frame is permanently attached to the sides and bottom of the opening; the panels are removable. The advantage of permanently attached frames is that a truly watertight seal can be created. WK’s removable flood barriers are available with 3 different gasket configurations which allows the best solution to your flooding problem. Removable lipseal flood barriers – WK Model FP-LS: Our most popular model for both the ease of installation and use, as well as economy. Lipseal barriers are great when a flush sill is desired and the water pressure is from the exterior (seating) direction. 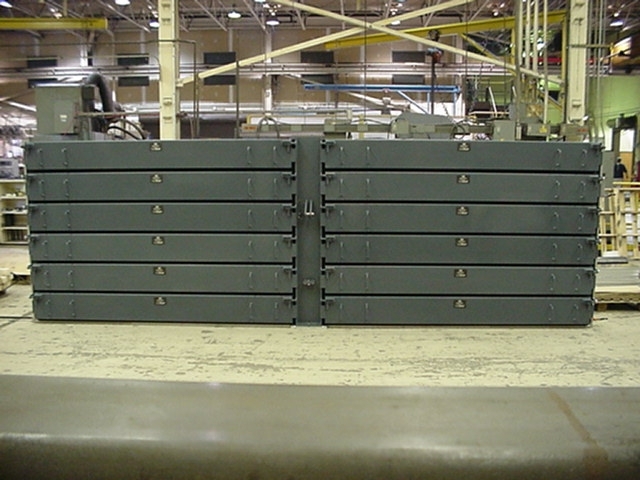 Multiple panel barriers (WK Model FP-M) are available for long spans, allowing for decreased panel weight/size. 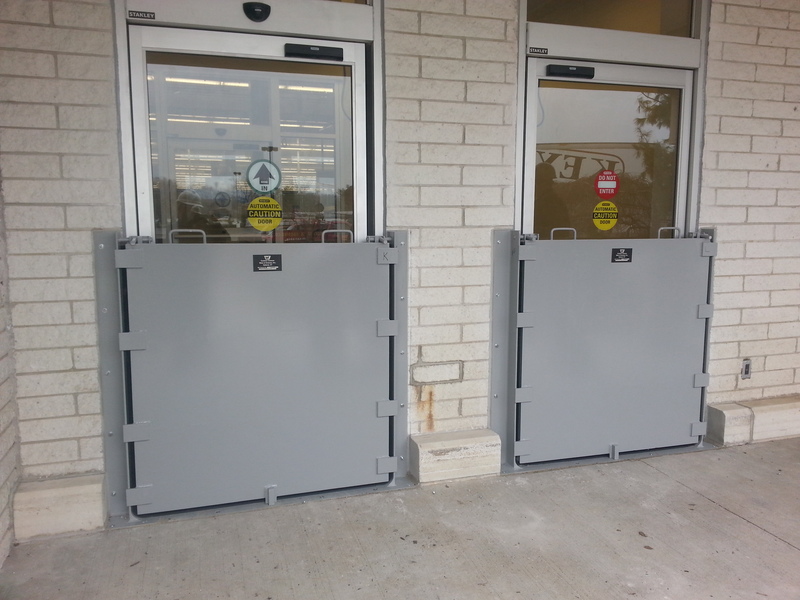 Removable inflatable gasket flood barriers – WK Model FP-I: Like the lipseal model, inflatable gasket flood barriers are also provided with flush bottom sills and are designed to withstand water from one direction only. An air source is required to inflate the gasket(s). This model is recommended for use in protected areas in order to prevent damage to the inflatable gasket. 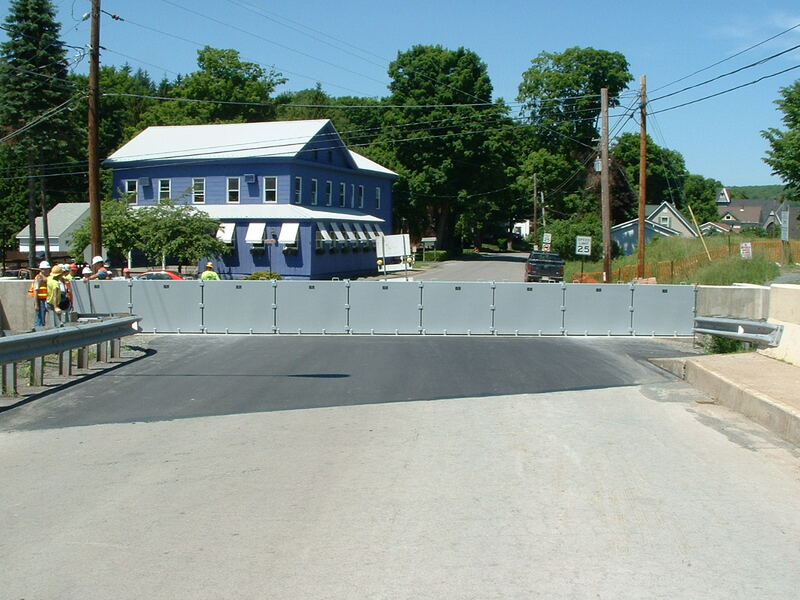 Removable compression gasket flood barriers – WK Model FP-C: Compression gasket flood barriers offer the most protection available, and can be used when flooding can occur from both directions. 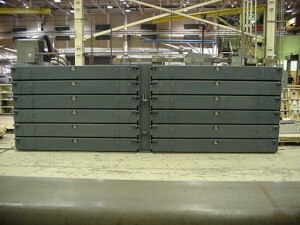 This design requires a raised bottom sill, and is latched closed using rotating dogs or drop bolts.